Whitesboro's girls won the consolation championship with a win over Varnum on Saturday. Whitesboro’s girls survived another elimination game to advance to the area tournament while several county teams won district tournaments Saturday. The Lady Bulldogs captured the consolation championship with a 45-33 win over Varnum to advance to the area tournament at Kingston on Thursday. Bokoshe’s girls came up a little short in a Class B regional tournament finals, falling to DC Lamont, 51-34. The Lady Tigers trailed only 25-20 at halftime before being outscored 16-6 in the third quarter. Brianna Brassfield led Bokoshe with 14 points while Miranda McFarland had eight and Christina Silva had seven. Arkoma’s girls and Cameron’s boys saw their season end in the consolation finals at Wilburton. The Lady Mustangs fell to Allen, 53-40, while Cameron was eliminated by Boswell, 50-47. Allen grabbed a big lead early and Arkoma’s girls could never make a comeback. Shaylea Whisenhunt and Bennye Torpe each had 12 points for Arkoma. Cameron’s boys nearly overcame a big deficit before coming up short. The Jackets got into foul trouble early and trailed 45-35 with three minutes left before making a run. Kody Whitehead’s 3-point basket in the last minute cut the deficit to 45-43, but the Jackets could not get any closer. Ryan Carter led Cameron with 11 points while Kenny Whitehead and Kody Whitehead each had eight points. County teams winning district championships were Pocola’s boys, Wister’s boys, Panama’s girls, Howe girls, Poteau girls and Talihina girls. At the district tournament at Panama, Panama’s girls defeated Pocola, 58-49, while Pocola’s boys downed 12th-ranked Gore, 63-42 (see story). Poteau’s girls continued their recent hot streak by capturing a district championship with a 59-45 win over Hilldale. The Lady Pirates built a 12-point lead at the end of the first quarter and won their second straight district championship behind 16 points by Meagan Ryburn, 14 by Kaitlan Standridge and Montana Roll’s 12 points. 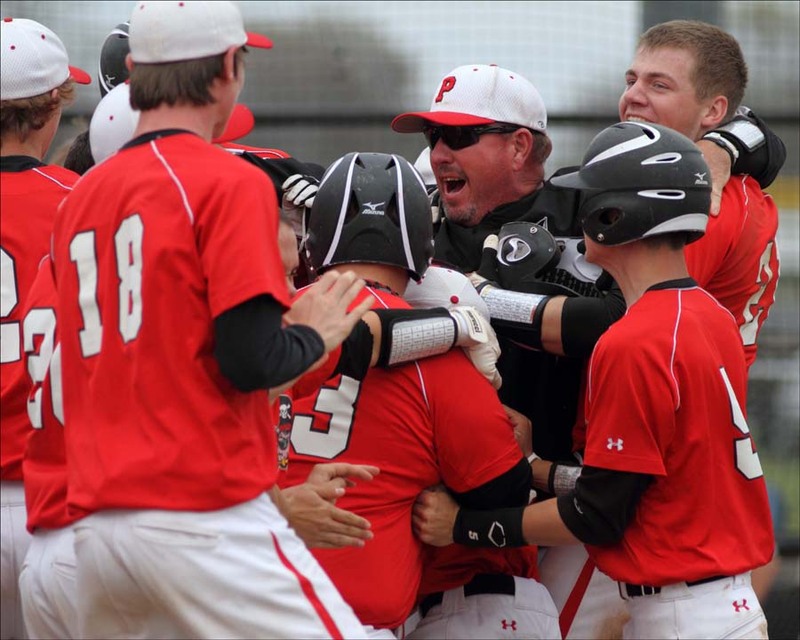 Poteau’s boys were not quite as fortunate. The Pirates led 9-0 early before Hilldale took control and won the district with a 59-49 win over Poteau. 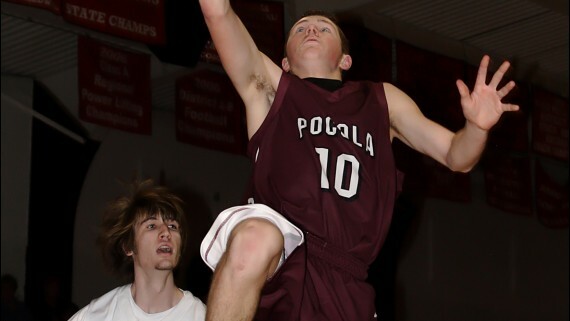 Wilson Klutts had 13 points to lead the Pirates while Kendrick Hardaway had 12 and Blake Roley 10. 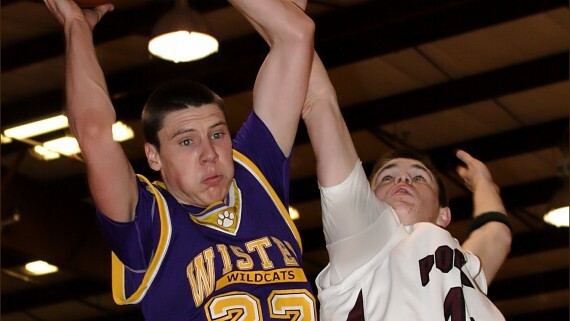 Wister’s boys rallied from a big deficit to grab the lead late in a 42-41 win over Howe for the district title. In the earlier game, Howe continued its excellent season with a 74-36 win over the Lady Wildcats. 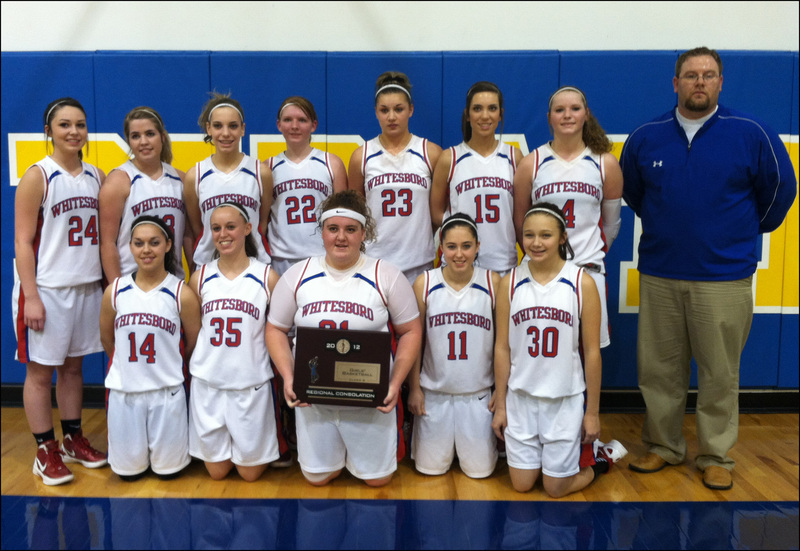 Talihina’s girls crushed Warner, 54-20, to win the district tournament at Warner. The Lady Tigers led by nine points at the end of the first quarter and cruised to the easy win behind 11 points by Tara Hawkins as Talihina’s starters rested much of the game. The Tigers fell to 16th-ranked Summit Christian in the second game. Talihina trailed by 10 points at the end of the first quarter and never could challenge. Hayden Dickson and Alan Lockhart each had eight points for Talihina while Logan Hillebrand had seven.